Steve is a hands on trainer who applies a flexible training approach for each horse, treating them as individuals and working to find their best results. His attention to every detail and care for his horses is paramount. Regular communication with owners on their horse’s wellbeing, progress, training and racing plan is provided to all our individual owners. This interactive website provides each individual owner with personal communication from Steve, keeping them informed of their horses activities. 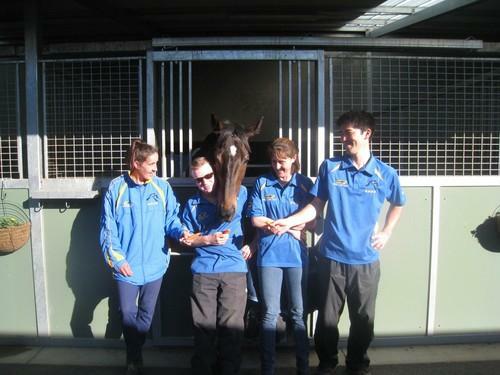 We encourage and welcome owners to visit our stables to watch their horses in work, not just on race day. Steve is always available for a chat and enjoys owner interaction. At Steve Richards Racing our owners are our community and our friends. We have an owners' business directory on our website especially for stable owners to list their business details as a networking opportunity.